During our stay in Pensacola, we discovered the amazing amount of Art and History that Pensacola has to offer. Each place that we went to also had fantastic children's programs going on. All I could hear was laughter from children making puppets and then performing for each other. With true southern hospitality, I had some fantastic conversations with the locals about the best places to visit around the downtown area. 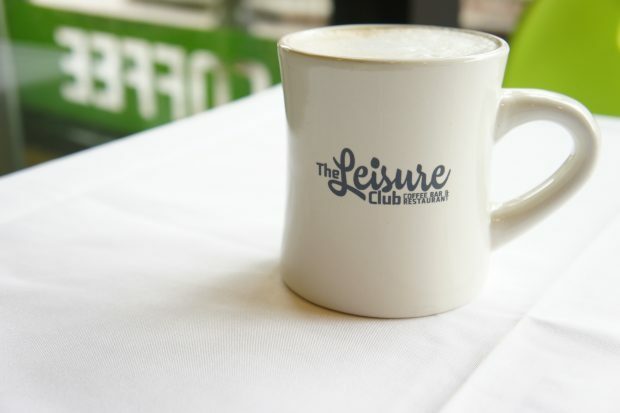 Before your early morning adventures begin, stop by The Leisure Club in the downtown area. They serve Intelligentsia Coffee, which is a direct trade coffee roaster. Grab a cup of their “Best coffee in town” with the 3 minute pour releasing all the flavors for an amazing cup of coffee. Enjoy your coffee in this modern chic Coffee Bar before starting your day. Then come back to enjoy a gourmet panini and some High Road ice cream. The atmosphere is amazing, and you could sit and relax for hours! If you're looking for an alternative to fast food around lunchtime head over to the Tin Cow also located in downtown. 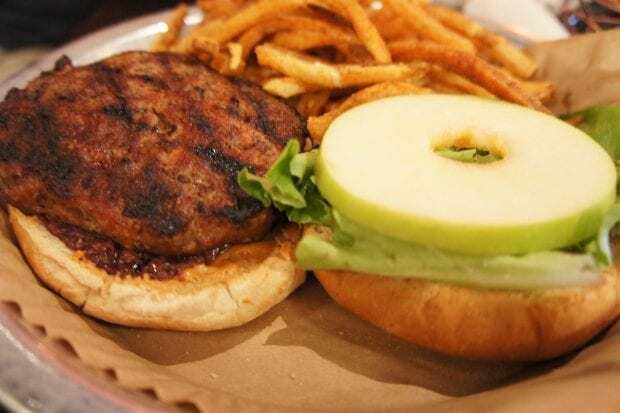 At The Tin Cow, you can design your own burgers or try something off the wall as I did with a hamburger with apple and peanut butter on it! Don't forget about the bacon-infused chips; those are always a crowd pleaser. Another great place for lunch was Jaco's Bayfront Bar and Grill. Head down the Palafox pier near the marina, and you'll find this gem. I suggest getting anything that has tomatoes on in because they were the freshest I've had in a restaurant setting. The highlight of our meal was the flatbread pizzas. A gourmet taste with an amazing view of the water. What's a trip to the beach without some seafood for dinner? Head over to The Fish House enjoys the catch of the day with a side of their famous grits. An upscale dining experience that you can even dine on the deck to enjoy the boats and waterfront. Whether it's a big salad full of fresh fruit or the seafood special I promise that you and your family will enjoy it. In between your foodie adventures, there are two lovely places in Downtown Pensacola's Historic Village. First is the Pensacola Museum of Art. Located in the old jail, with the original bars still covering all the doors, it houses local artists work, as well as historical exhibits. This museum is where I enjoyed the laughter of lots of children enjoying a summer class where they were creating puppets and putting on a show. A wonderful place to teach your children to create and become more hands on. Also in the downtown area is the Artel Gallery which just relocated to the old city hall building. My favorite part of this gallery was the children's exhibit space located in the corner which looked like an old holding cell. It was called the Manna Earth Day project. The project revolves around this saying “No One Should Go Hungry. What’s Your Solution?” There were cans hanging from the walls with plants in them and drawing for children of all ages explaining what they would do to end world hunger and help the earth. Along with all the other museums I mentioned in my previous post, Pensacola has so much to offer not only families living there but families visiting. As I said before the hospitality is amazing and there is so much to see, do and discover with your family. Being such a short distance from Atlanta, it's a fantastic area to visit. I could go on an on about how great Pensacola but you really just need to experience it for yourself! We'll be heading back very soon.